JERUSALEM – When Kerryn Baird started crying at Yad Vashem on Tuesday, she just couldn’t stop. 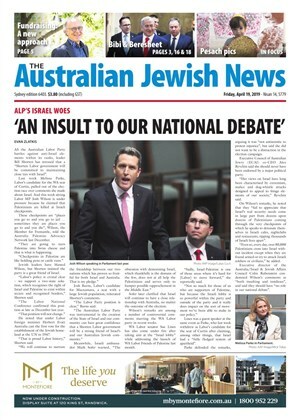 FOREIGN Minister Julie Bishop will be presented with the Hebrew University’s Torch of Learning Award at the Australian Friends of the Hebrew University’s gala dinner later this month. 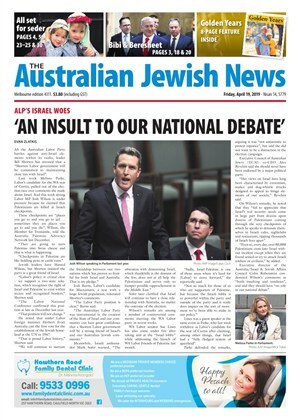 SENIOR Jewish leaders have slated a University of Sydney academic and supporter of the Boycott, Divestment and Sanctions (BDS) campaign for “bullying” an Israeli counterpart. SKIPPY may have a little more bounce in his hop this week, with the news that scientists from the Hebrew University of Jerusalem have perfected an innovative treatment for potentially deadly periodontal diseases in kangaroos.